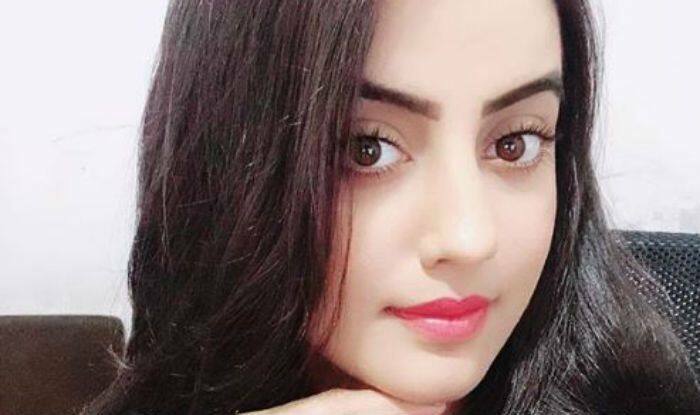 Bhojpuri hot actress Akshara Singh, who is known for her melodious voice, has again set the internet on fire with her latest pictures. Dressed in a black jacket, she has teamed up her look with glossy pink lipstick, minimal makeup and hair kept straight and open. Needless to say, she looks stunning in her latest selfie spree. Earlier, her new song along with Dinesh Lal Yadav aka Nirahua titled ‘Badla Poora bhayil’ went viral on social media. The track is from the album ‘Pahilka Fagun Akshara Ke’. The song has been crooned by Dinesh Lal Yadav and Akshara Singh. The lyrics have been penned down by Manoj Matlabi and are directed by Ghunghru Ji. In the song, while Nirahua is seen dressed in an Indian Army officer uniform, Akshara looks stunning a red saree teamed up with sindoor, mangalsutra and a wide smile. The song has clocked over four lakh views within 24 hours.